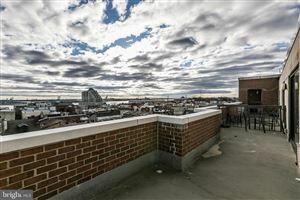 Living at Abbotts Square Condominiums in Society Hill is like being on vacation all year round. Did you know this location is the second largest tourist attraction in Philadelphia? They offer friendly 24 hour front desk/door person, newly decorated lobby and hallways, fitness center, balconies, great views of the Delaware River and Philadelphia skyline. All of the units include design features you can choose from, with some including wood burning fireplaces, spiral staircases, roof top decks and bi-level floorplans. Take a stroll or carriage ride to the Philadelphia’s historic sites. If you are in need of an escape spend your day at Penn’s Landing on the Delaware River. If you are looking for some fun, hang out on South Street and visit the unique stores it has to offer. At Abbotts Square you’ll find all the conveniences of city living and the luxury of being between two of the city’s hottest neighborhoods, Queen Village and Society Hill. You’ll be steps away from award winning restaurants, live theater and cabaret, and trendy boutiques. You’re just a few blocks away from Philadelphia’s historic sights and Penn’s Landing. With I-95 and I-76 so close, coming and going are your easiest commute! Abbotts Square is a luxury condominium property located in the Head House Square District of Philadelphia, which adjoins the Society Hill neighborhood. The property is “L” shaped, occupying the entire block of South Street between 2nd and 3rd Streets and the block of Second Street between South and Lombard Streets. See all Abbotts Square Condominiums.